I have hound now since a while and I brought him up to rank 4 for testing, and I can tell you right now you missed the spot by a large amount this time. He is easily the worst warrior bot, a lot of people already consider him the worst bot in the game (I don't think it's that bad because of his synergies, but close). That's already a big disadvantage in the game. Fighting from a distance isn't a viable combat style in TFTF, it's a means to close distance. The AI easily dodges 80-90% of all shots, doing more then two in a row is a big risk the AI will close the distance and wreck you. On average you will deal 2 shots for every 5 melee hits that you can land (and that is already optimistic). So a bot that relies on shooting needs to do 2-3 times the damage normal melee bot would. But he doesn't. It relies on crits, so it will hardly ever proc and even if it does it hardly does any damage. Let's say he has a crit rate of 15%, you would have to get of 7-8 shots that hit to get a single burn stack. That's 21-28 hits in total (two shots, 5 melee hits) until you get a single burn. And for that you get 35% damage over 10s. Compare that to Rhinox: 30% flat chance and 50% damage over 5s for bleeds. And he doesn't even rely shooting. For a bot that hardly does damage when fighting, you would expect some serious burst with specials, like Ironhide. But Hound doesn't deliver. The S2 can do a decent amount of damage if you are lucky and if you have deep wounds maxed. You'll probably say "it's too early to tell", it's not. Ask around, you'll see. Anyway we'll hear each other in a few months when you buff him because he is underused. 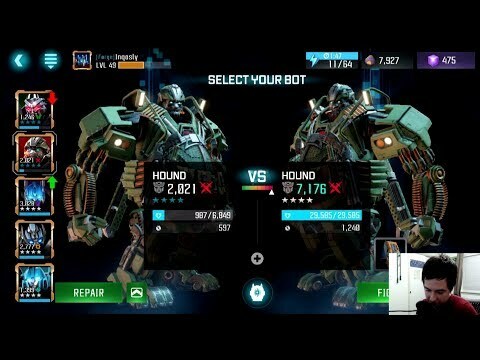 The last bots you buffed seem pretty stacked against Hound is his current state to be honest. 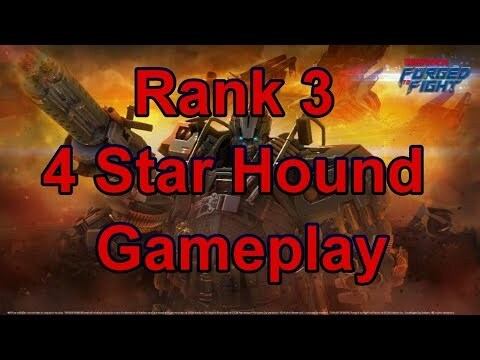 tl;dr: Hound is really weak. Buff him. He Is pretty pathetic. Switching ammo take too long as well as many of the things that you pointed out. Overvall, he is decent for away mission. He is a bit over complicated for no reason. But, you suggested something confusing. You said lower the singuature as your first suggestion, but then turned around and said up the signature. Not sure what your going for on that one. All in all, hound is pretty trash though. 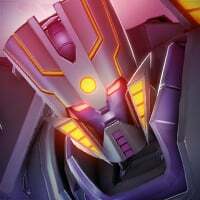 Hound is very similar to pre-buff galvatron, his damage output is not worth the effort for his play style. All he really needs is just an overall damage buff and higher crit rate. Just two options for the sig ability. Either lower the +% damage and make it stack and/or permanent or really ramp up he +% damage. If you made ammo switching faster, then it would be difficult to actually block when necessary and maintain the ammo you are using. The time it takes to switch is perfect. It's the exact amount of time it takes for the opponent to get up after being knocked down. You can switch there without taking any risks. I think hound only needs one thing to make him more viable for now... I agree his inferno ammo is a little lacklustre, but it would work better if he had a ranged heavy attack, and it would also play into precision ammo more. You could lock down an opponent with heavy spam/weaving similar to IH with a ranged heavy attack, as well as thwart evade bots. Agree. 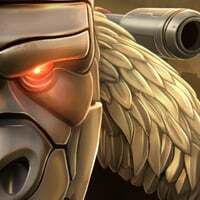 Ranged heavy is the key for a bot that screams range. His DPS is so low he’s almost unusable. I really hope he gets buffed soon. DPS isn't everything. There are plenty of bots that have low DPS and are good. It's important to have bots that have different playstyles, or every new bot will just be a more powerful version of every other bot. Learn to work with it. They should change the ammo animations too. It makes no sense that ‘precision ammo’ looks exactly the same as the big, flaming inferno ammo. I thought Hound was going to be the answer to bumblebee's evade. But he's disappointing. His damage is too low, and bots still evade most of the hits anyway. I've played him probably around 10-20 times but it's just not working for me. It takes a really long time to even win advantaged fights. Unless I'm hearing any new strats on using him or a buff, he's OUT. Replacing my 4* Hound with 3* Arcee. Oh, to throw in a suggestion too, how about slowing their evade when they're burning? Lengthen his burn duration too. That would make them easier to hit, and they can keep his intended fighting style intact. Can we increase the percentage of his burn damage? Can we make his SP3 damage higher? I just re-read this and wanted to comment on a couple things. While I do agree Hound could use some kind of minor buff, I don't think people are utilizing him correctly. 1) Distance fighting is viable. It can be done, and done well against many bots. 2) Inferno ammo needs to be used in conjunction with his Crit resistance debuff, which comes off his heavy attack. You'll find he lands way more crits if you set it up properly. Also.. I think blocked ranged shots from Hound should ignore block proficiency, and deal more chip damage as a result. 3) his specials are kinda weak.. no real argument there. 4) His signature needs only one thing.... Increased duration as the Sig level goes up. 3 seconds is indeed too short, but it is a VERY powerful buff at the top end. The duration is in gold, which tells me it was intended to have more duration at high Sig, but this is not the case. 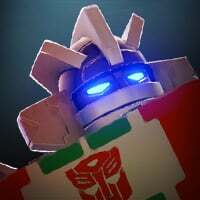 If duration increased as Sig went up, he'd be one of those bots that needs a high Sig (like Ratchet or Soundwave) before you really start to feel the benefit. I think it should be made to function like that. +0.1s duration per Sig level or something, and maybe trade a bit of the range bonus to compensate? Maybe have it top out at +150%. I may not have grasped the ranged trading trick, that's why I can't seem to use even a duped Starscream. 90% of my shots are dodged. The only opening that can be anticipated is when enemy fires three shots. But in that case I would do a tap-tap-dash-5, no? I mean I can fire 3 shots and expect all of them to crit/burn/sig buffed. But in the end, the overall damage may be lower than a 5-combo? Sorry never saw anybody with a viable playstyle that uses mostly ranged attacks. But I’m interested. How do you keep the AI from dodgeing 90% of the attacks. Anybody got a video on that? By not following a predictable pattern. Lots of sidestepping and single or double shots only. Launch heavy attacks when they get too close, and melee into opponent block to push them back against the wall, so you have space to pew pew. A good way to get better at ranged attacks is to use Arcee 2.0 and practice setting dash traps. Maneuver your opponent into a corner/wall so you have lots of space to backstep and then just keep shooting and doing random dodges and sidesteps as you would typically do. Then, start throwing in a backstep without firing. Try and bait them into dashing into you and then hit them with a quick salvo of ranged shots. 2 bleed stacks easy. This also works really well with Starscream too. Motormaster makes a great sparring partner for him using this method. Watching those 1-4 melee stacks get nullified as he charges in is always gratifying to watch. That said, I'm not feeling Hound at all either and agree with the Pre-Update Galvatron comments. The team was a little off the mark with him and he needs some course-correcting. I also agree that his heavy should've been a ranged attack but there's no way they would ever change that at this point; too much work went into his alt-mode attack for them to just get rid of it. 4. This one is impossible to do at this point and probably more just a thinly-veiled gripe, but I can't stand the way he moves, lol. He feels top-heavy, like he's trying to move around on stubby, wobbly little legs or something, I dunno how to describe it. I'm sure it looks cinematically accurate, but it doesn't translate well to this style of game, IMO. Anyway, I know the team is usually great about listening to this kind of thing, so I hope they'll find some suitable tweaks to make him more usable. Hound appears very weak but as Manthro said, he needs to be used correctly (and IMO he needs to be duped). I basically go melee until I land a heavy that gives the crit rate debuff. After that I will dodge the ranged attacks - you can usually dodge and get off two shots that land when he is duped, so you can counter more effectively. Best to save for sp3 as this gives longer crit rate debuff and the other sp are pitiful. Still, in his current state I can't see him being anything more than a rank 3 bot that maybe gets but on laser guidance for base defense. @DaveJL You mean when duped, he has increased chance to land ranged? From experience, to actually trigger rolling, you have to wait for the bullets to nearly hit you and sidestep, if you anticipate well and sidestep too early, it's a normal sidestep. But this means the enemy has already recovered from their motion stun if you succeed in rolling. Agree. His damage is too low currently. Watch iNightSkies Hound review at youtube and you'll get it.. All of the points are spot on. @KillMasterC yes mate, because it gives him increased range speed. It will never work in high level AM, or expert spotlight because the AI is too slippery, but in arena and other game modes it works ok. Sometimes he rolls out of melee attacks... I side step a lot, so I guess I get the timing right by accident, but I certainly can evade it earlier than say, Sideswipes power gain trigger, to get the buff. I think the main problem here is that people are labelling him a ranged bot because of his abilities, when I actually think he is more a tank that has a ranged buff. You can do more damage by using melee attacks and getting the crit debuff/armour buff with the heavy attack. He is 100% not a tank, he looks beefy but he dies quickly. Try comparing that with Grindor if you want a tanks bot. They are completely different classes. Brawler are meant to be tanks. Warriors are not. If you're gonna compare, compare apples to apples. Meaning, compare him to the rest of the warrior class. I'm not saying he doesn't need a buff, but saying he doesn't do as much damage as a demo bot or doesn't have defense like a brawler is irrelevant. I didn’t call him a tank DaveJL did. To be a tank he needs to be able to take a lot of hits. But he can’t. I say he is much to reliant on distance attacks, since all his abilities revolve around shooting. Let's compare him to the tank then, Bludgeon. He's a warrior AND a tank. He has great armour, good damage, good specials. Use him as a template.